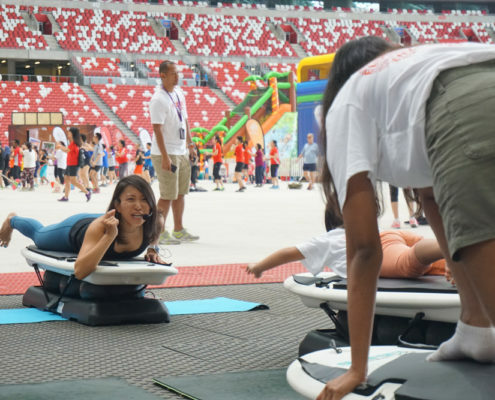 You are here: Home / Newsroom / Events / Sports Hub Community Play Day! 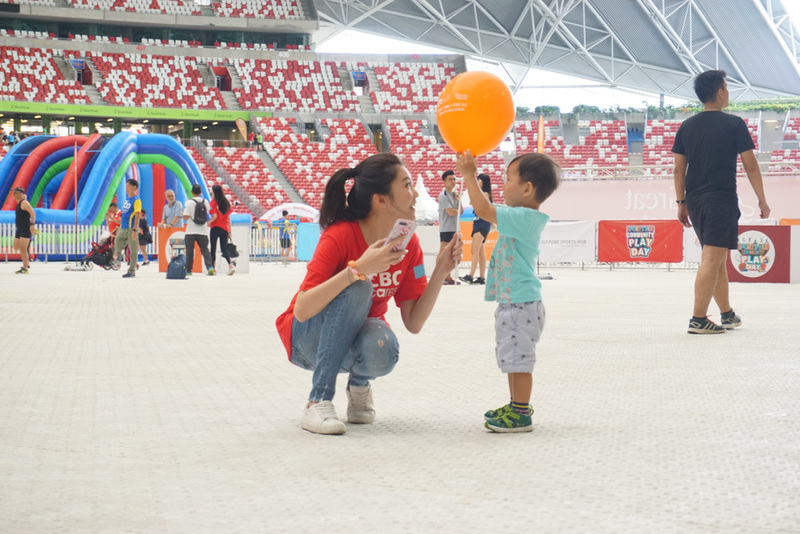 We were at the Sports Hub Community Play Day over the last weekend! 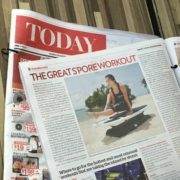 Did you see us? 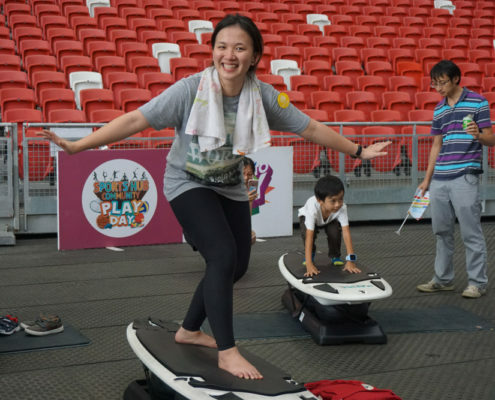 Sports Hub Community Play Days are quarterly events held around Singapore Sports Hub’s venues. 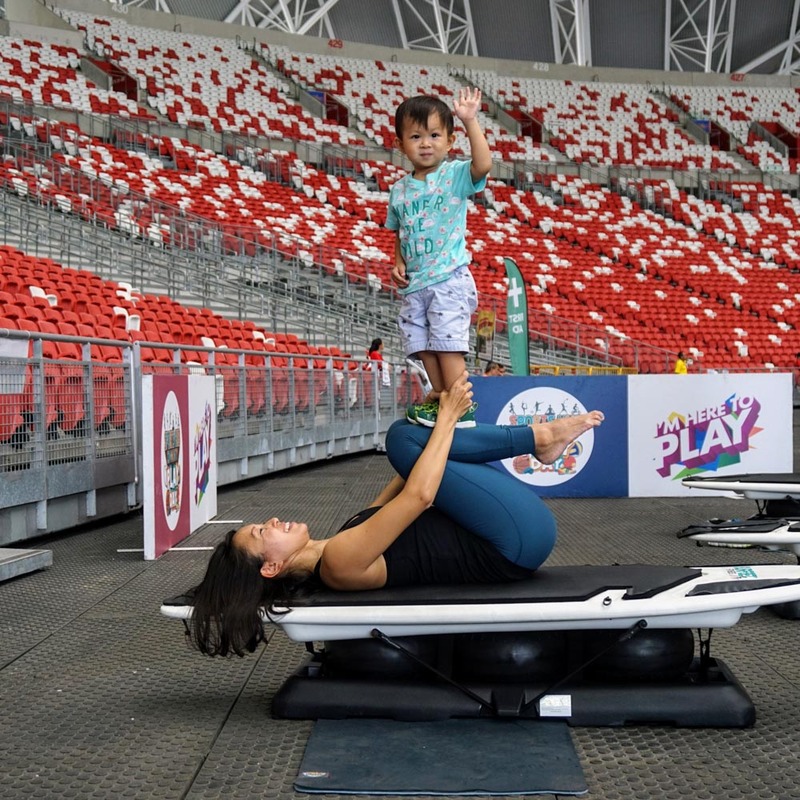 Organised by Singapore Sports Hub, it aims to bring together the community and families through sports and other lifestyle experiences. 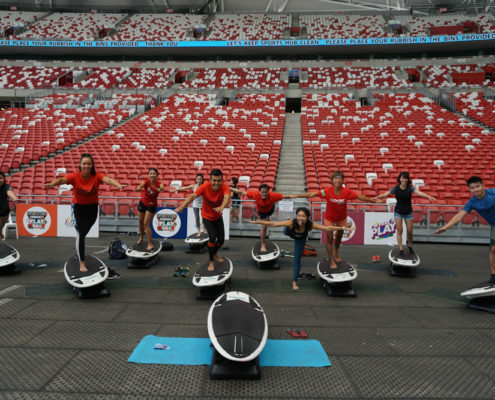 SURFSET Fitness was at the 6th edition, held at the stadium, no less! 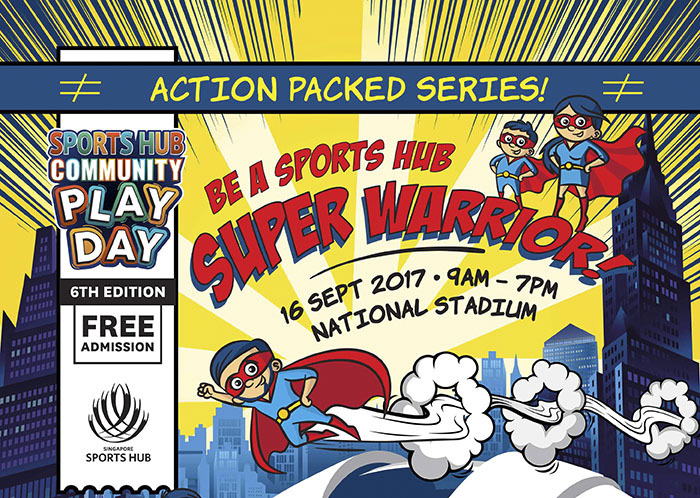 It was an action packed series, looking near and far for a Sports Hub Super Warrior! 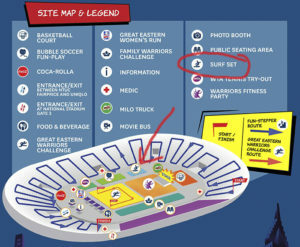 In case you can’t see us, we were here! 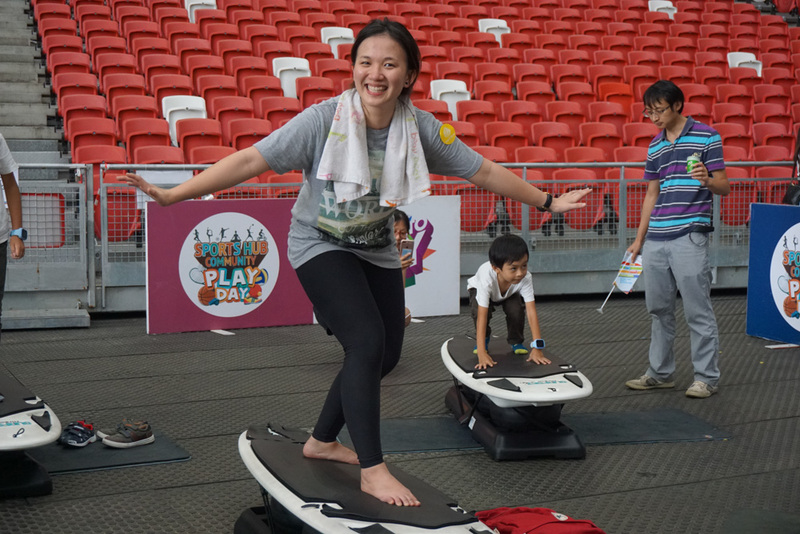 It was an event jam packed with a whole bunch of activities. 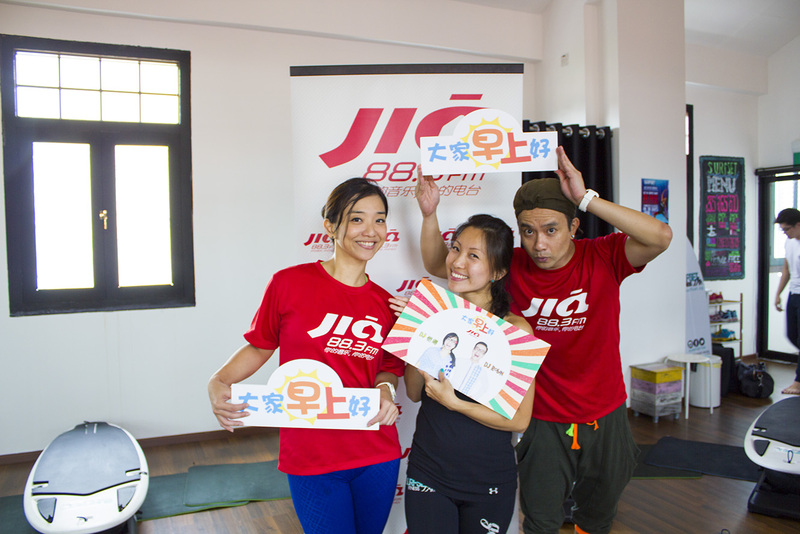 There was mass Zumba in the morning, followed by a bunch of challenges. 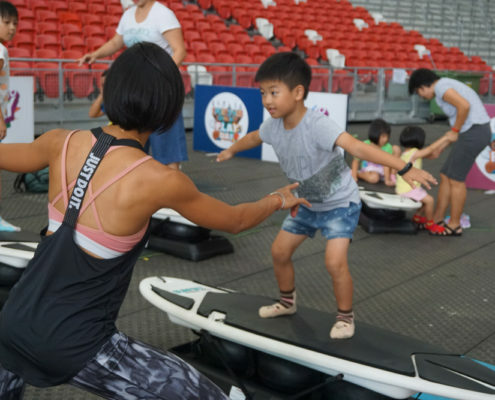 There was an obstacle course, bubble soccer (that one where people are running around in fully inflated balls), archery play, and a basketball clinic. 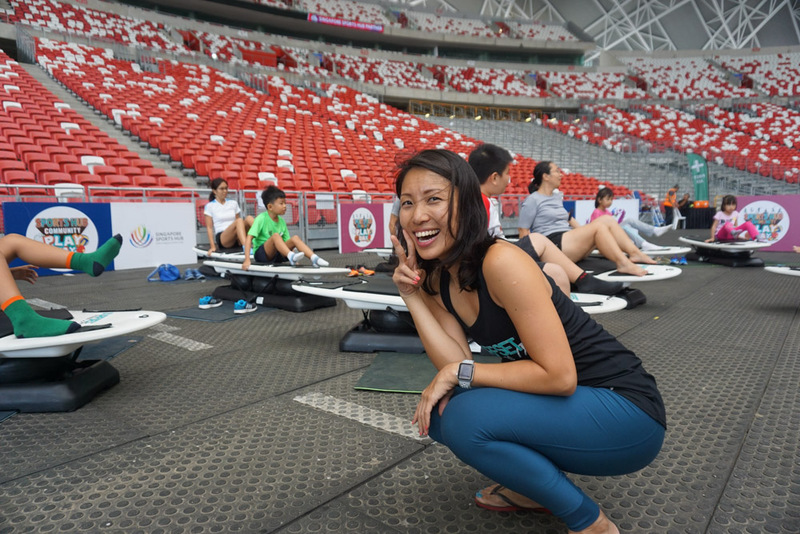 In the afternoon, there was a meet and greet with our basketball team the Singapore Slingers, and of course, a mass POUND session! 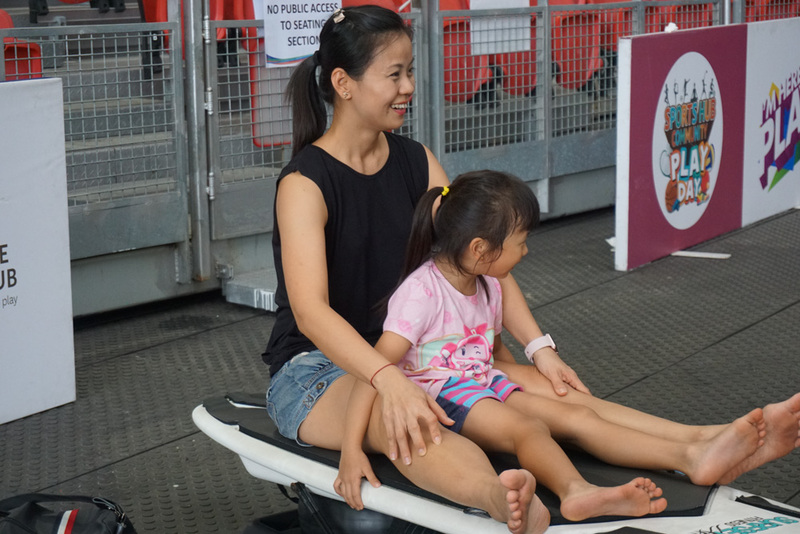 For the kids, there were a whole lot of inflatable activities, including a free-fall Tarzan fall which looked a little scary, even to us adults. 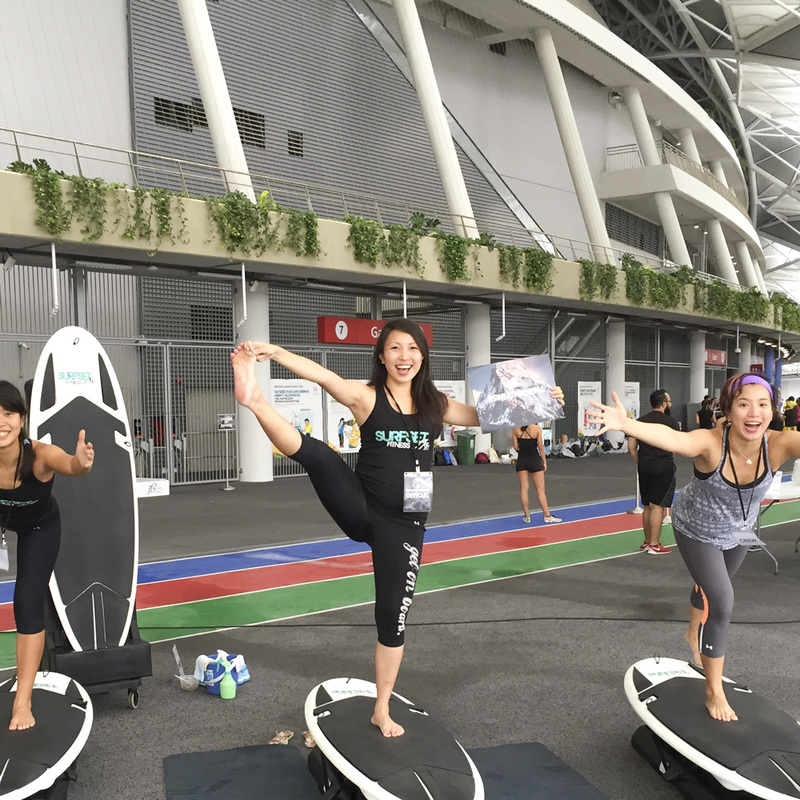 Of course, we had our SURFSET sessions running throughout! 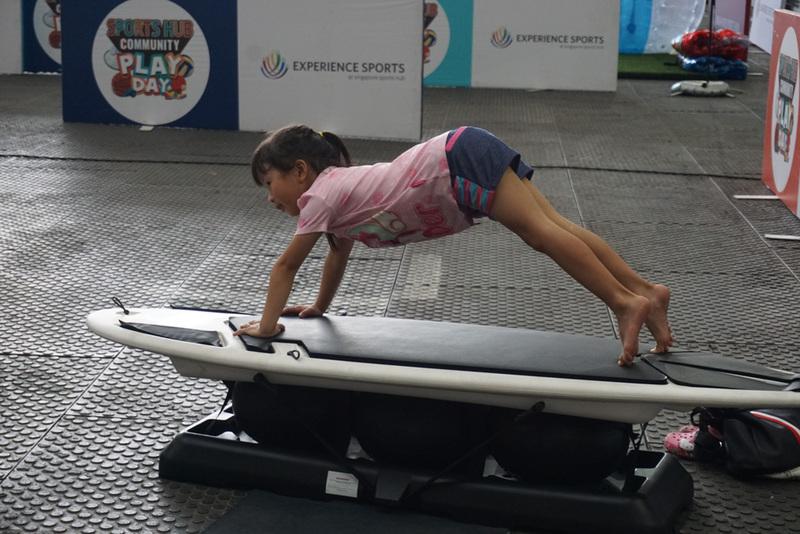 It was a full day of meeting super warriors and challenging them on the boards, basically! 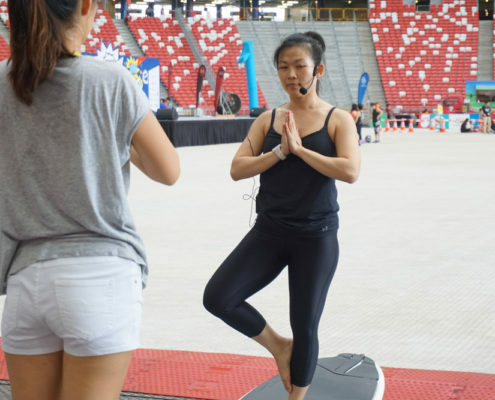 We had our resident instructor Shuyi taking on short classes in the few time slots that we had, which were grossly overbooked. 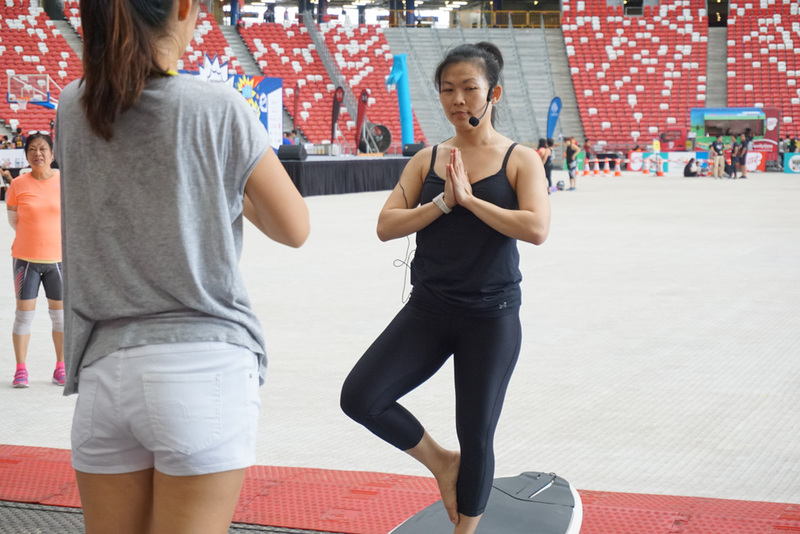 Joining Shuyi were our other instructors Steph and Wany, and guest stars Jasmine Danker, Aryn, Weihan, and Avery! 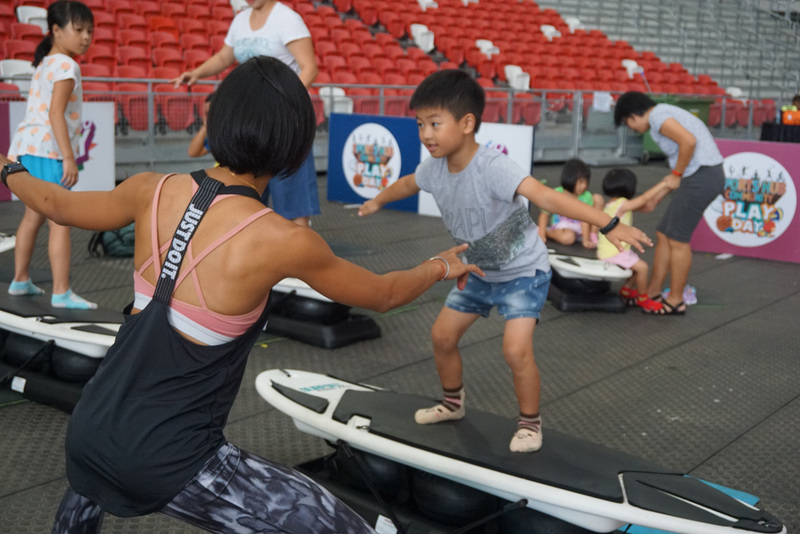 We ran short classes for the young and old with the signature surf moves, shark kicks, and wave runners. 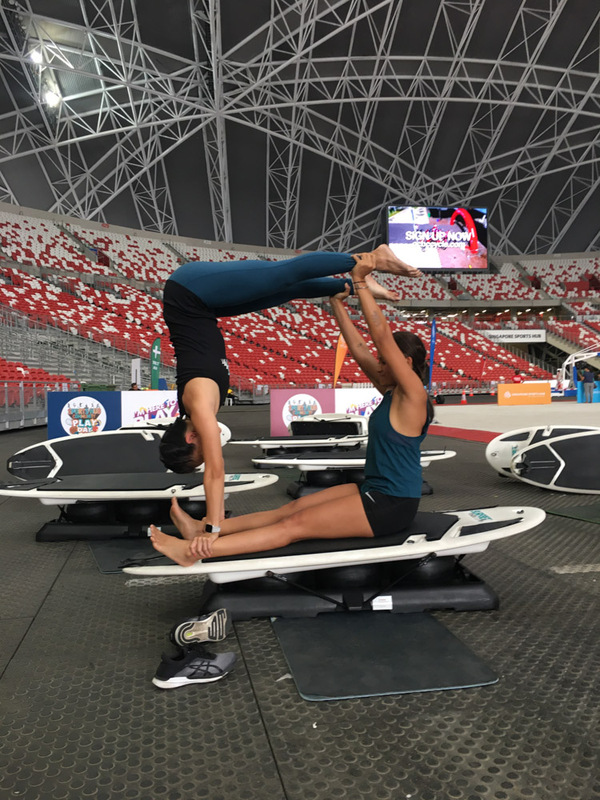 In between classes, we also had fun doing some acroyoga moves on the board. 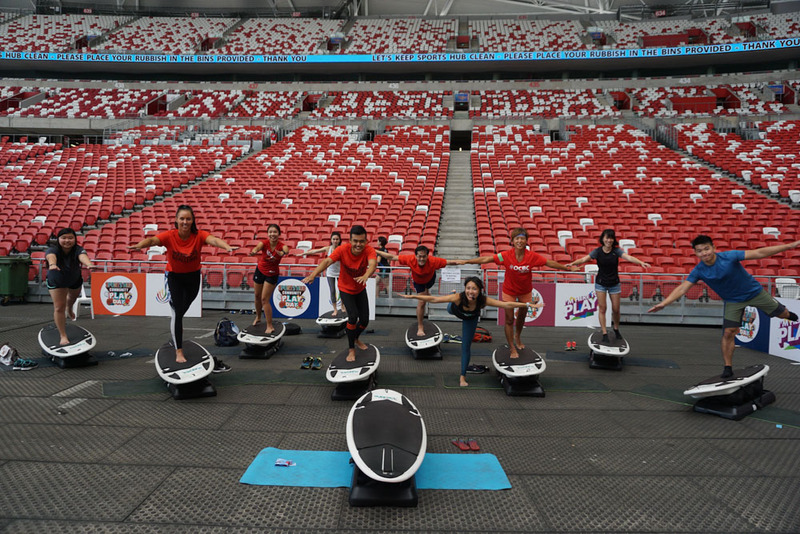 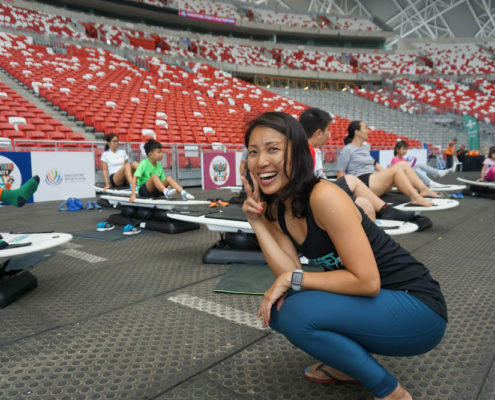 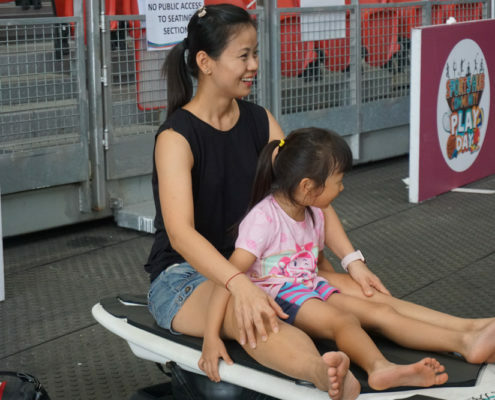 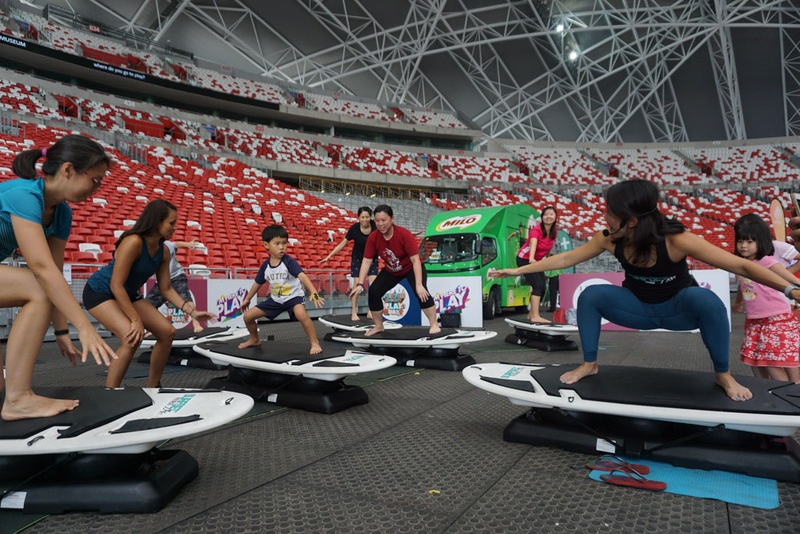 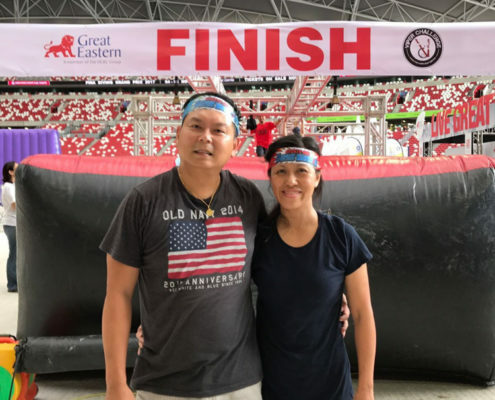 Generally, keeping people active and fit is the goal, and it was great being out and about with Singapore Sports Hub to have people come on up and give our boards a try! 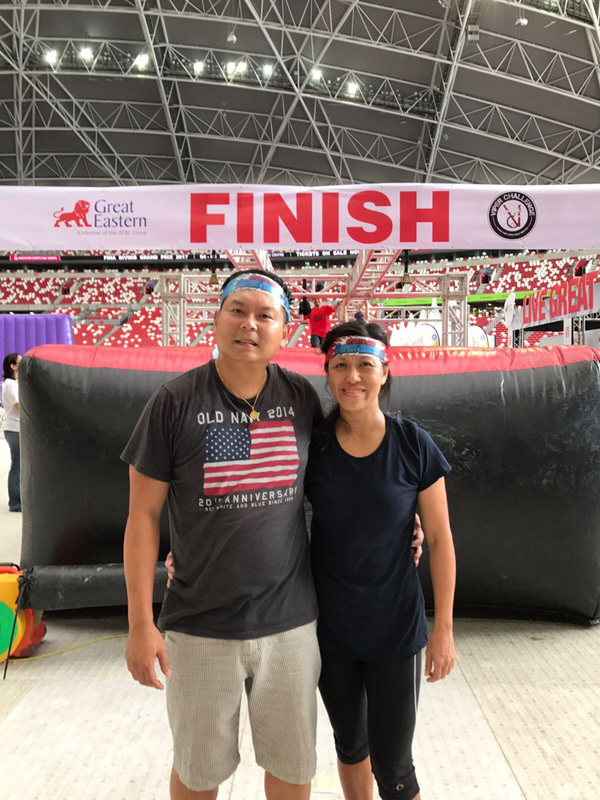 To see what went on, take a look at our photos! 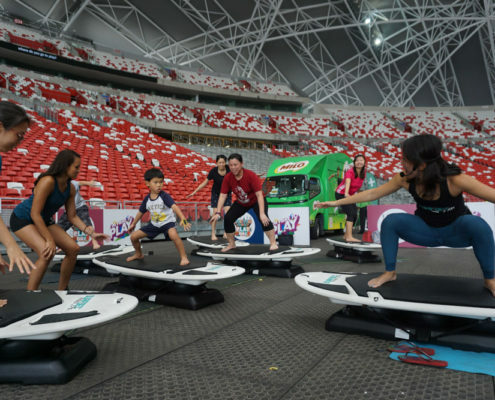 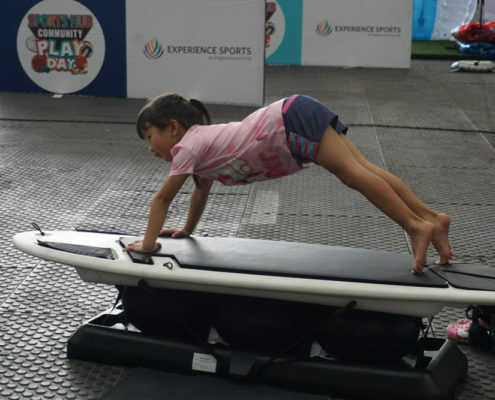 https://www.surfset.sg/wp-content/uploads/2017/09/community-playday.jpg 700 700 SURFSET Singapore https://www.surfset.sg/wp-content/uploads/2016/08/SURFSET-Fitness-Singapore.png SURFSET Singapore2017-09-18 15:25:402018-09-01 14:51:11Sports Hub Community Play Day!